Take a bite out of what Atlanta’s food scene has to offer at Taste of Atlanta. The long-running festival is expected to draw thousands to Historic Fourth Ward Park, 680 Dallas St. NE, from Oct. 19 to 21. More than 90 local food spots will be serving up some of their best dishes. “It’s like one big giant secret to the world how great our restaurants are, and we’re very international. We have lots of global flavors but a lot of diversity in our cooking. It’s not just your typical southern style food. It’s so very diverse,” Dale Gordon DeSena, founder and CEO of Taste of Atlanta, said. Here’s what to expect from the 17th annual Taste of Atlanta to get the most out of the festival. Don’t miss out on the event by waiting to buy your ticket. Event organizers recommend that attendees purchase passes beforehand to ensure that they can claim their spot before the event is sold out. Day tickets for Friday ($85), Saturday ($25 for General Admission) and Sunday ($25 for General Admission and $75 for VIP Admission) are available. Passes bundling days together are also being sold online. General Admission tickets let attendees into the festival and include an RFID wristband loaded with 10 Taste Points, which are credits to get food samples. VIP tickets increase the number of Taste Points to 20 and gain festival goers entrance into the VIP Experience. International, casual and fine dining establishments will be offering selections to attendees during the festival weekend. Plan to taste food from more than 20 Atlanta chefs while listening to live music at the Kick Off Party on Friday, Oct. 19. A few restaurants making appearances over the weekend include City Barbeque with their Beef Brisket samplings on Saturday and Sunday, and Bulla Gastrobar that will be serving up Paella de Pollo. Visit Taste of Atlanta’s website for the full restaurant lineup and schedule to plan your days. 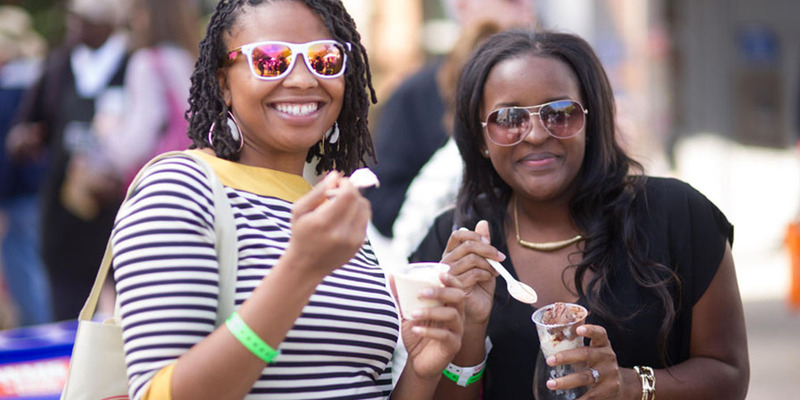 Taste of Atlanta tickets come with additional perks. On Saturday and Sunday, there will be The Chef’s Table, The Kitchen Workshop and Home Plate Stage live shows. Learn cooking tricks and tips from local chefs while visiting The Chef’s Table hosted by on-air personality Tom Sullivan. 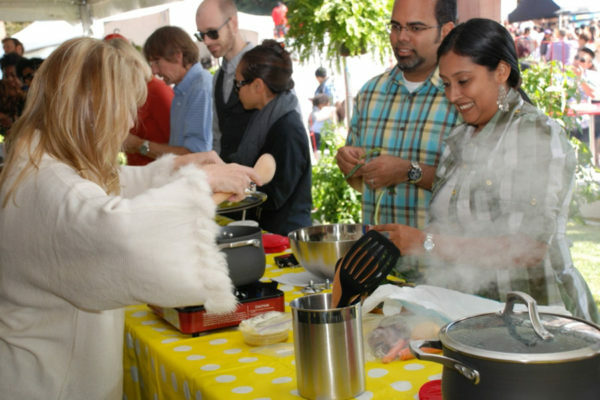 Access free hands-on, instructional cooking classes from chefs at The Kitchen Workshop. Watch home cooks whip up dishes as a part of live demonstrations on the Home Plate Stage. Take note that street parking will be limited around the park grounds, and one of the closest parking decks is the Atlanta Medical Center Parking Deck B, 315 Boulevard NE. If you plan to take Lyft to the event, use the TASTEATL code for 20 percent off a ride up to $5 for existing Lyft users. New Lyft users can use the TASTEATLNEW for $10 off their first two rides to and from the event. MARTA users can ride a free Taste of Atlanta shuttle to the festival grounds if they are coming from the Civic Center Station. 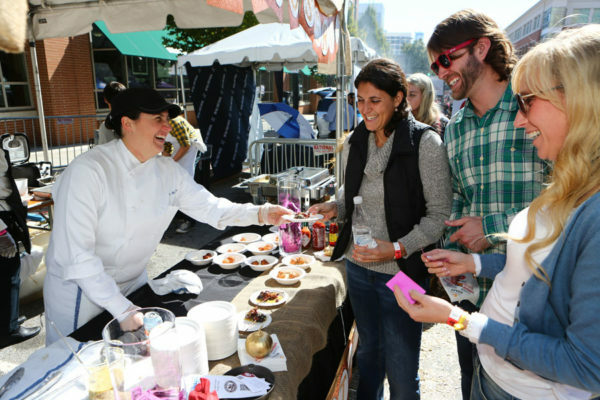 Editor’s Note: Taste of Atlanta’s year has been updated to 17th since a previous version of this story.